First things first, I want to thank you all for your patience this Spring and Summer as we work to get back into a routine. 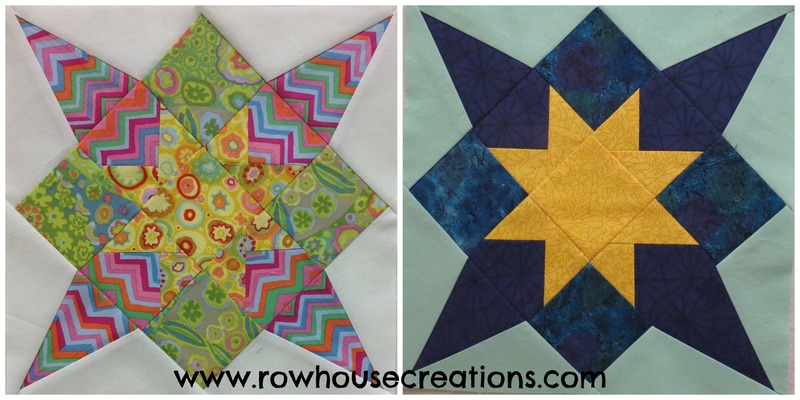 We have the next three blocks made and ready for posting–but life’s roller coaster hasn’t slowed to a stop, yet. And routine isn’t in either of our vocabularies right now. 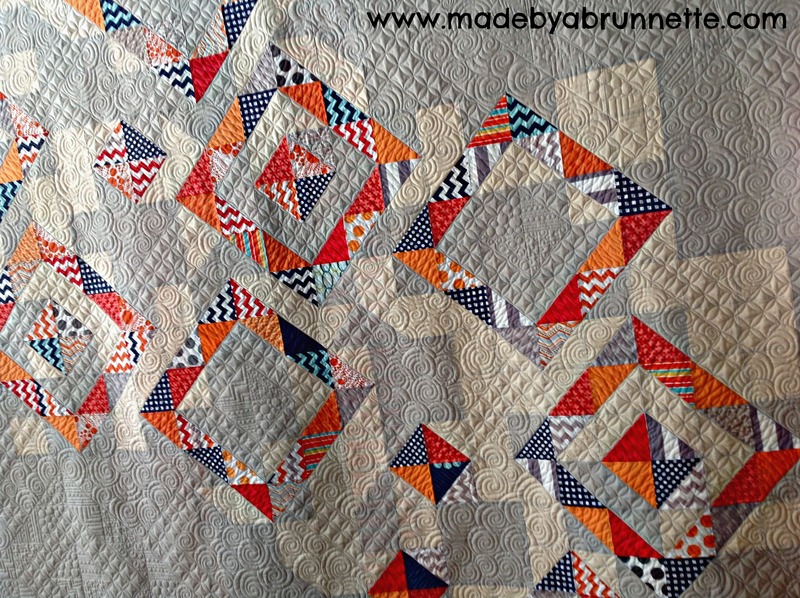 Hang in there with us, we promise not to abandon you with your blocks and no pattern to finish them! 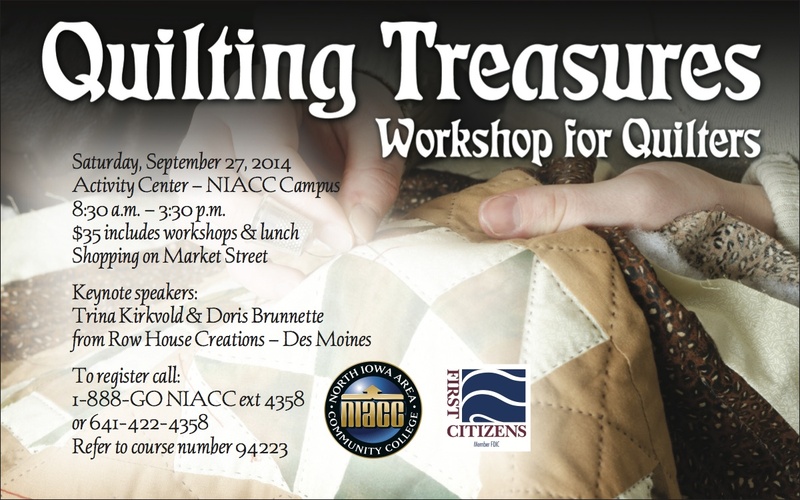 There were hundreds of Cabot patterns that were sold mail-order and grouped in booklets. 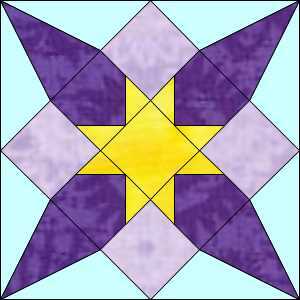 The same patterns were also published in a syndicated column, written by Loretta Leitner Rising (Chicago Tribune), which began in 1932 and continued through the 1930s. 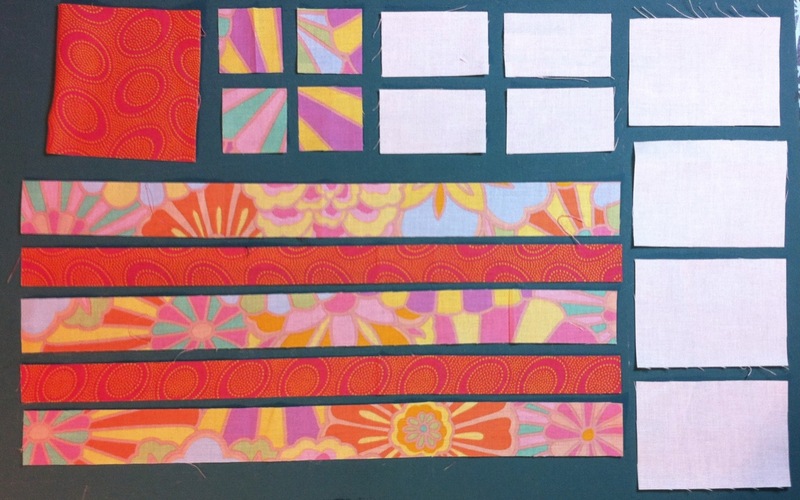 The patterns were reprinted in the 1960s and ’70s by several small publishers but are currently out-of-print again. 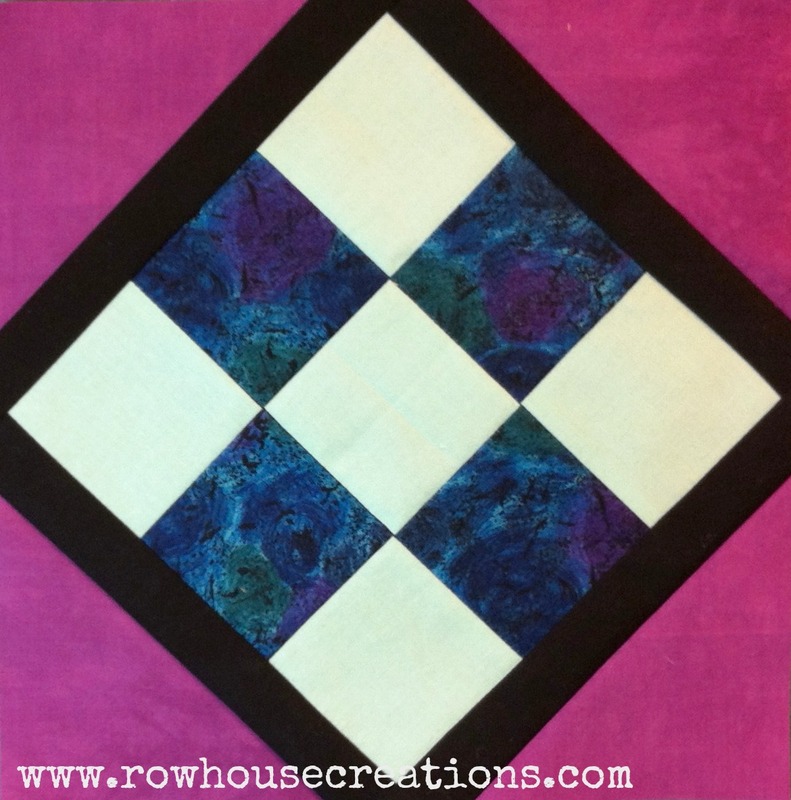 From background, (white in block below) cut 4 — 2 3/8″ squares (cut in half diagonally), and 4 — 2 5/8″ squares. 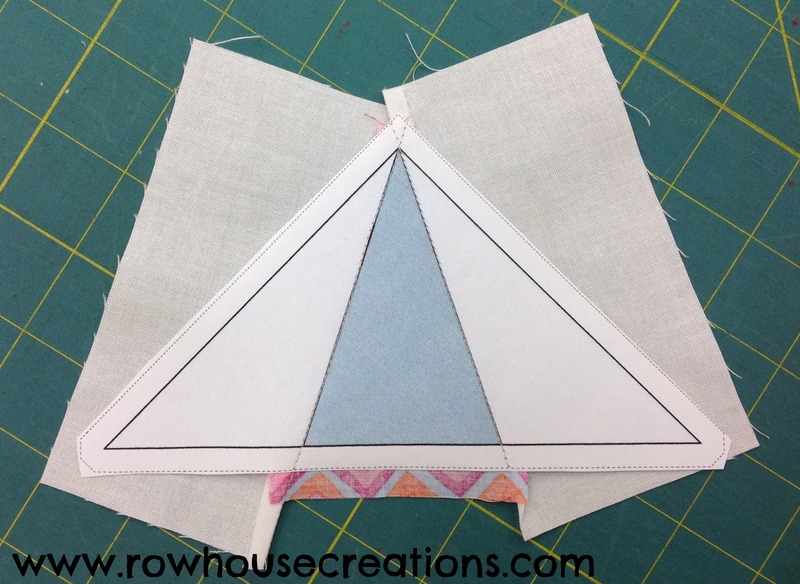 From accent fabric #2 (grey in block diagram above), cut 4 — 3 3/4″ squares. 1. 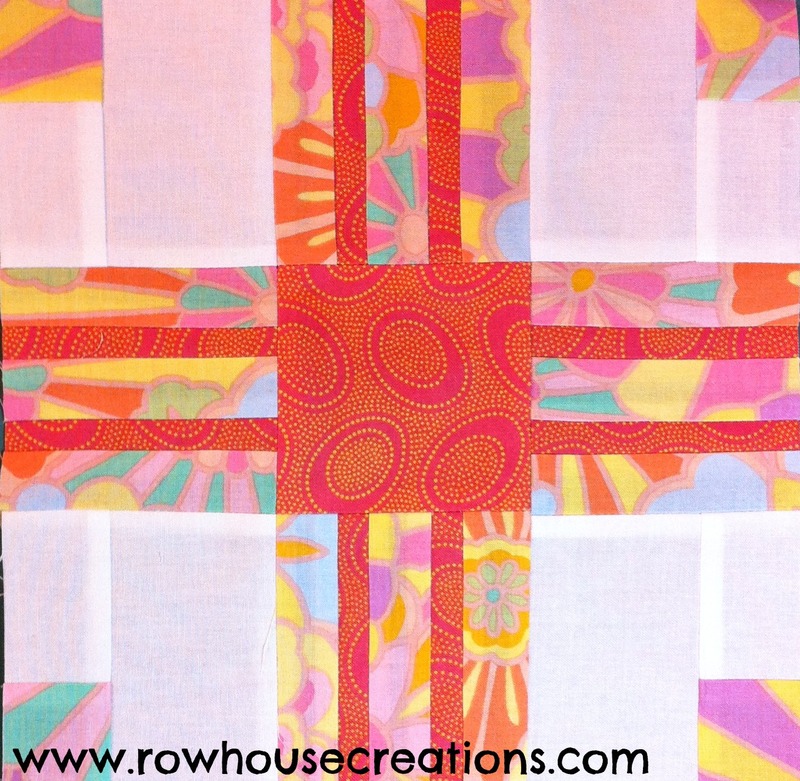 Join one background and two accent fabric #1 squares into a row. 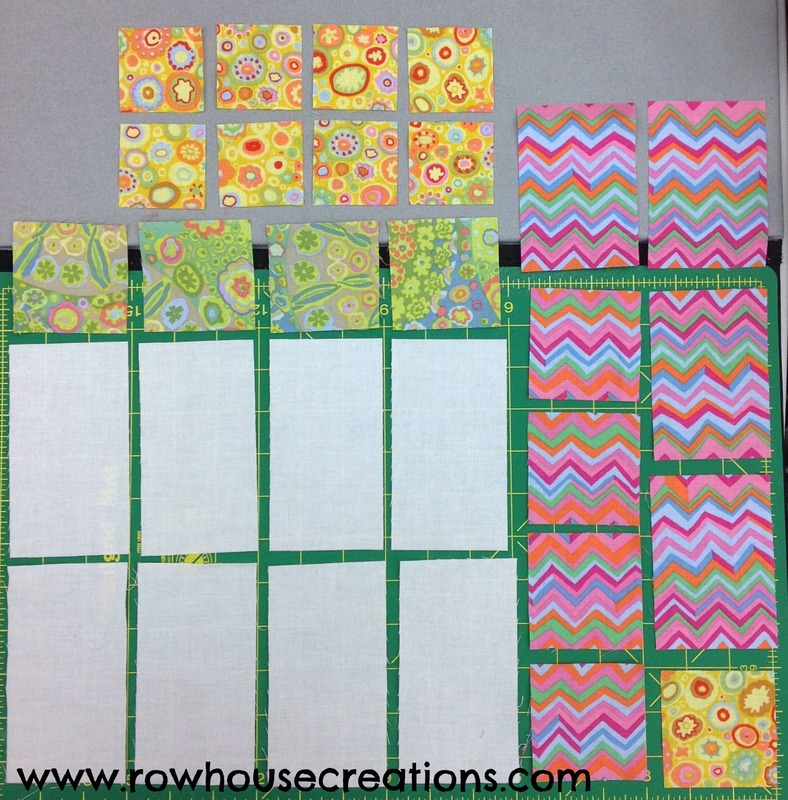 Make two rows like this. 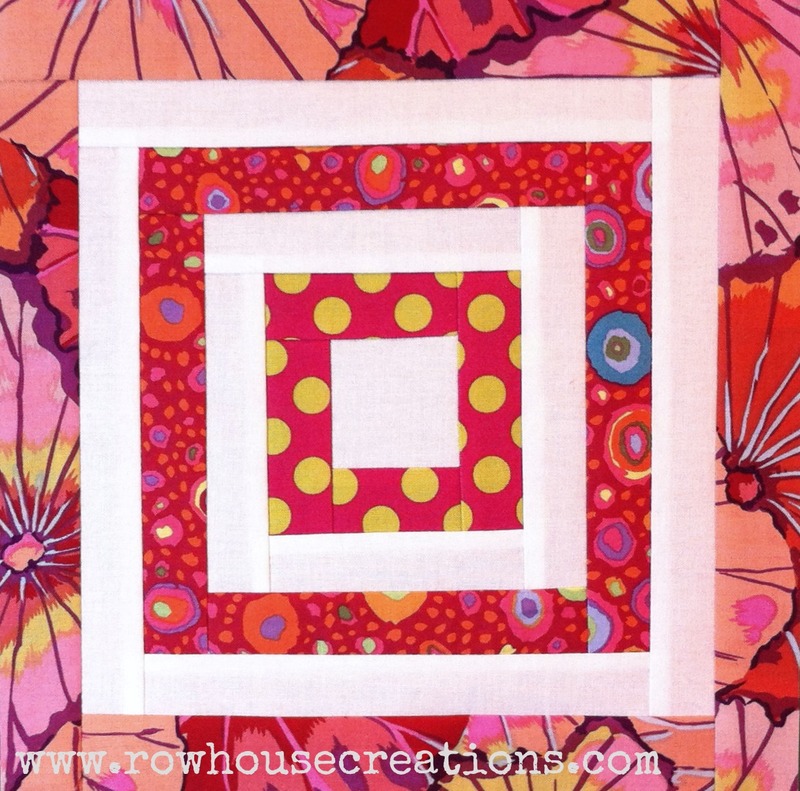 Join two background squares and one accent fabric #1 square into a row. 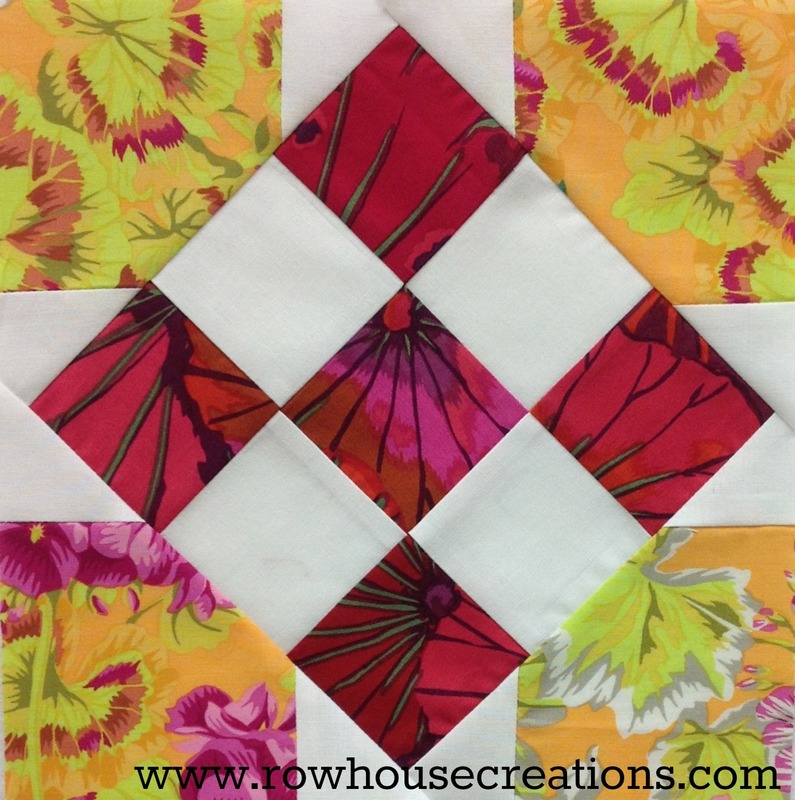 Join three rows to make the 9-patch center for the block. 4. 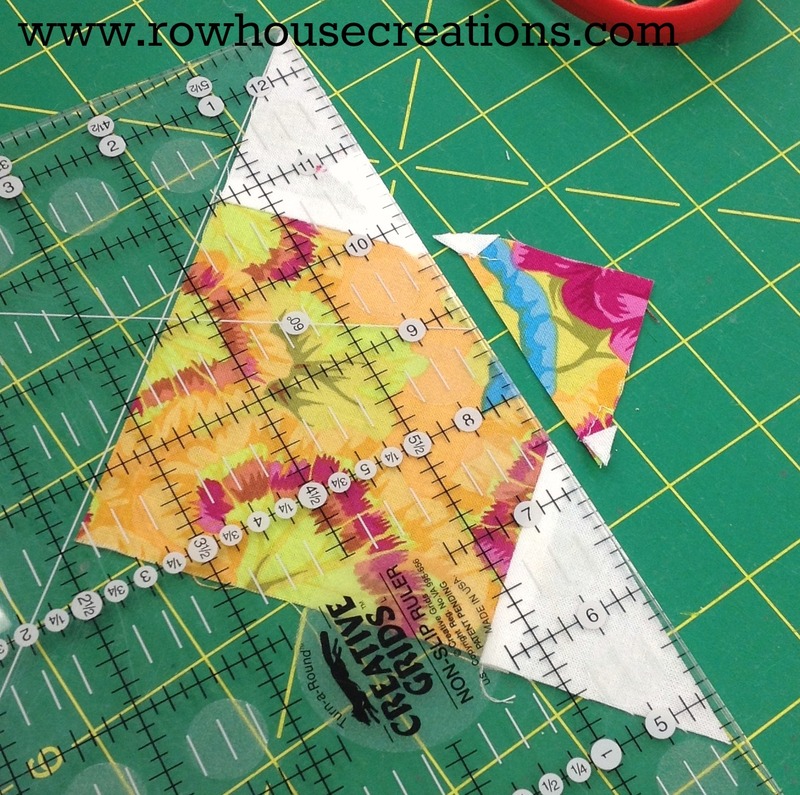 Trim the fourth corner of the large square that extends beyond the white/background triangles (see photo above) to complete your Corner Unit. 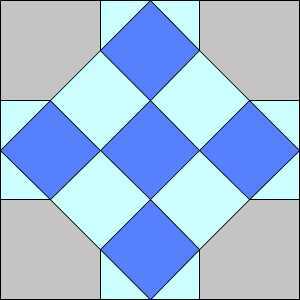 Repeat on all four Corner Units. 5. 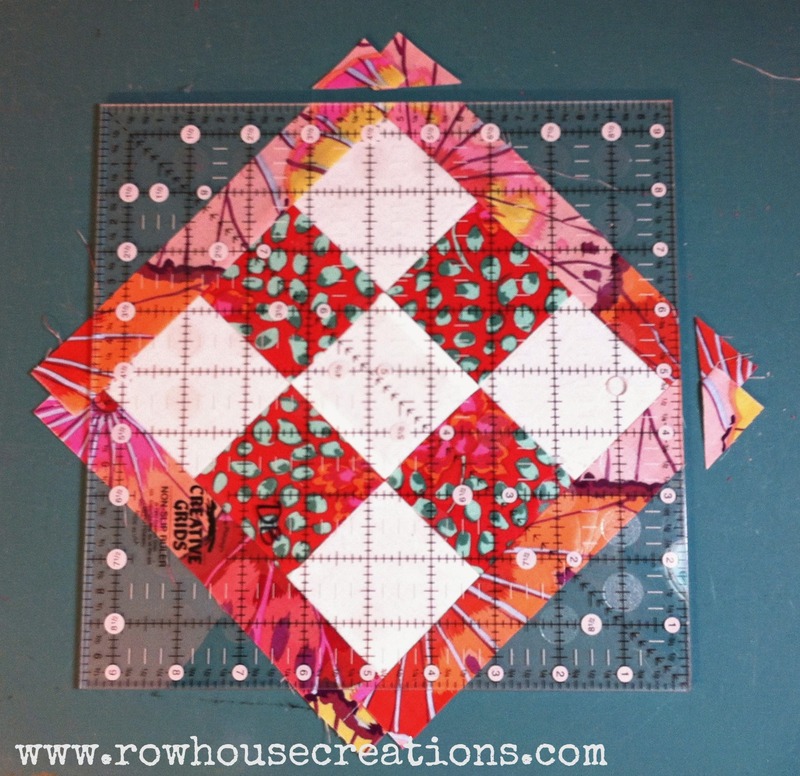 Add a Corner Unit to each side of your center 9-patch. 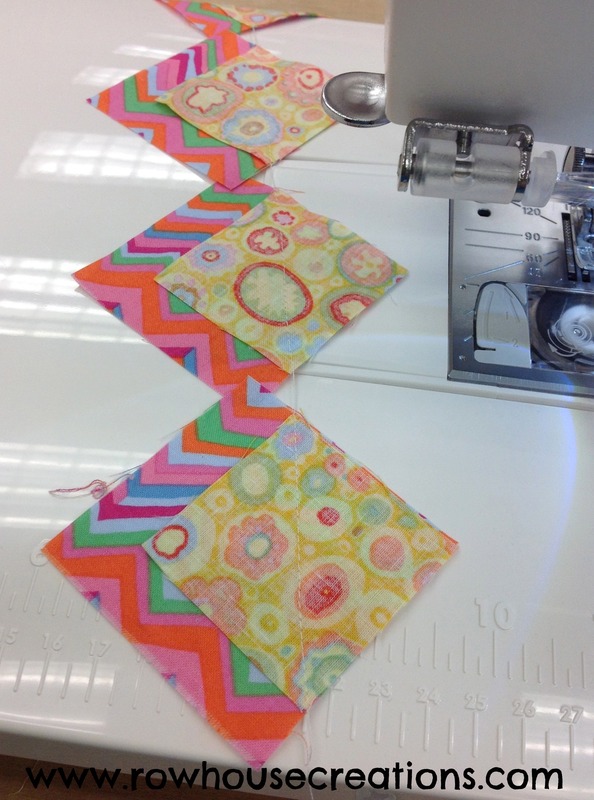 Press seams toward Corner. 6. 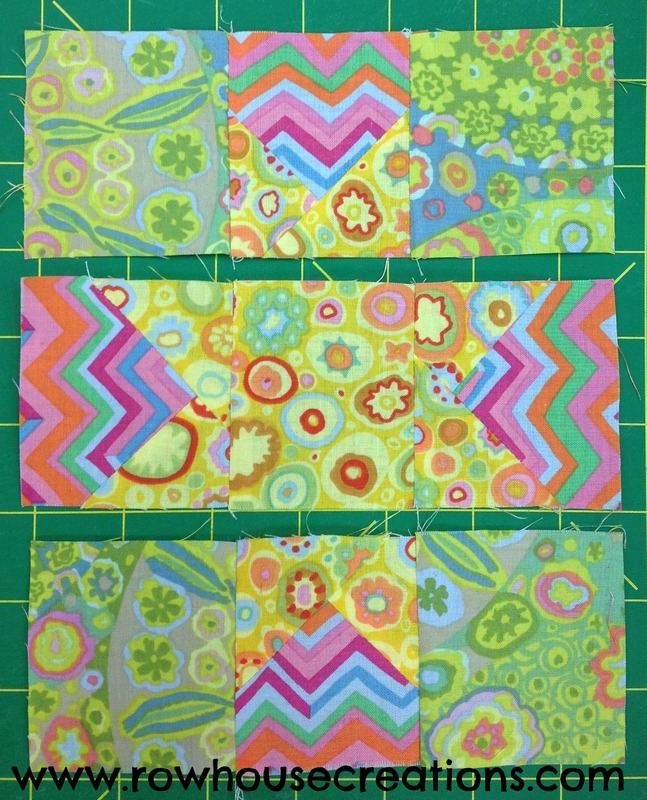 Square to 9 1/2″, if needed (unfinished). 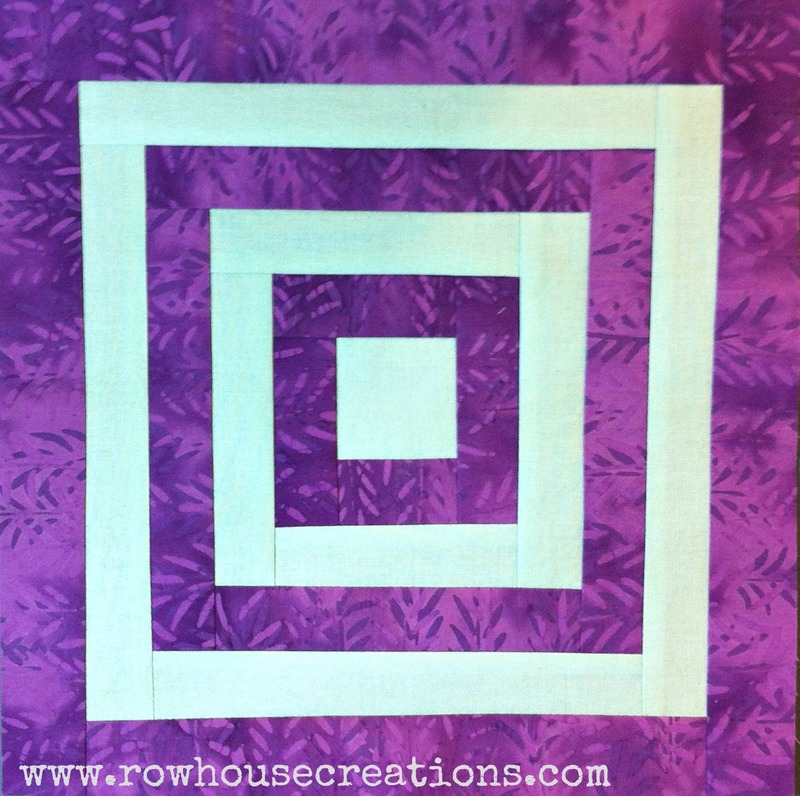 From accent fabric #3 (purple in block above) cut 2 — 4 1/4″ squares, cut in half diagonally to make 4 half-square triangles. 1. 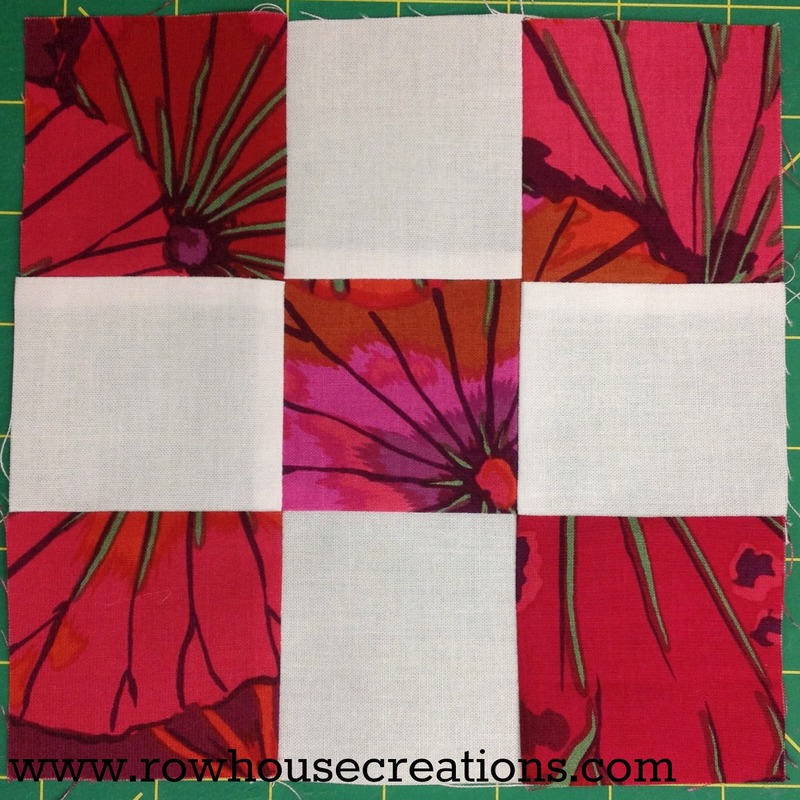 Join two background and one accent fabric #1 squares into a row. 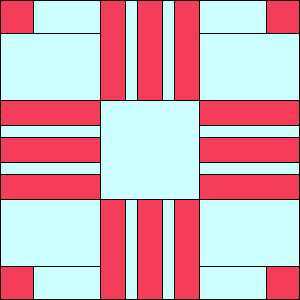 Make two rows like this. 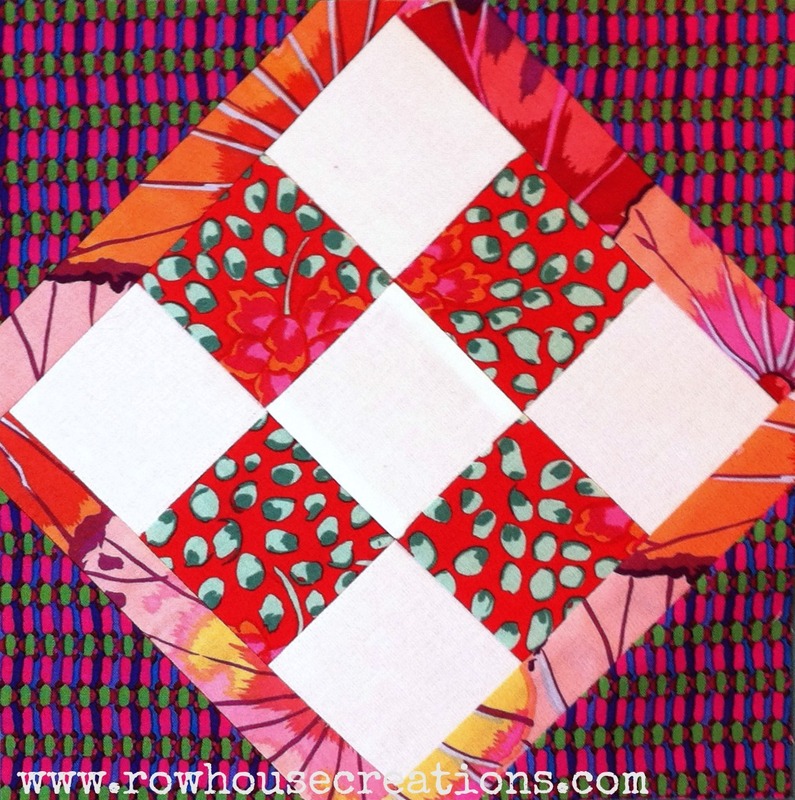 Join one background square and two accent fabric #1 squares into a row. 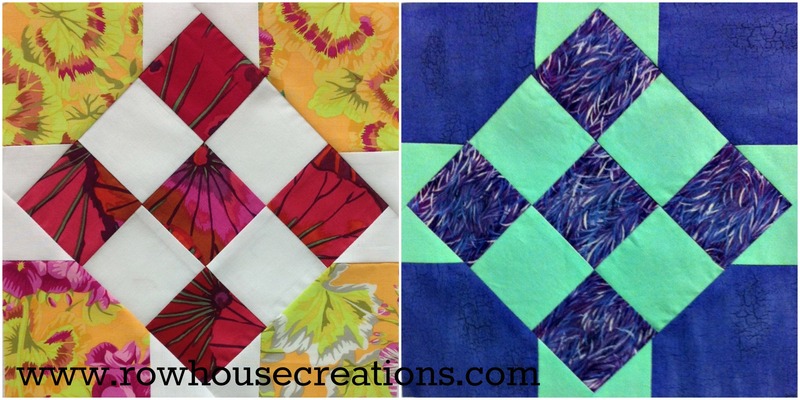 Join three rows to make the 9-patch center for the block. 2. 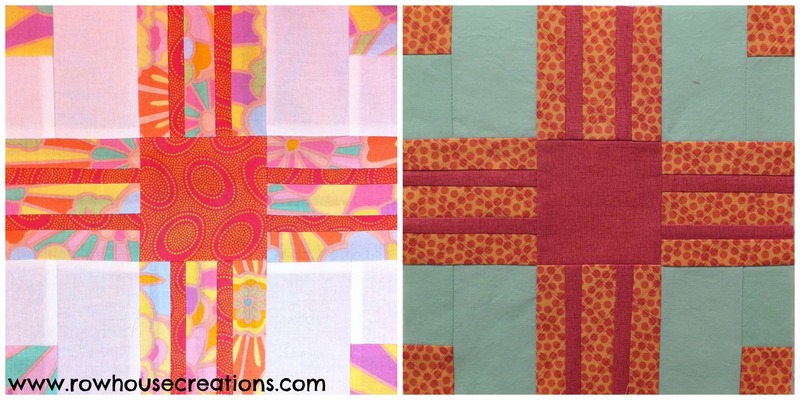 Add accent fabric #2 rectangles to opposite sides of your 9-patch. Press. 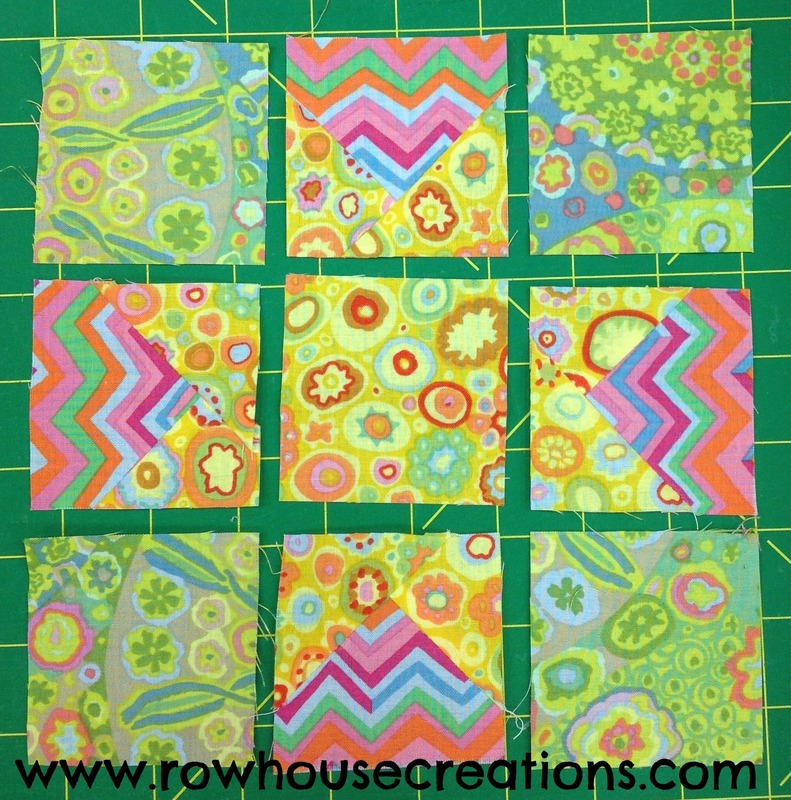 Add rectangles to two remaining sides; press. 3. 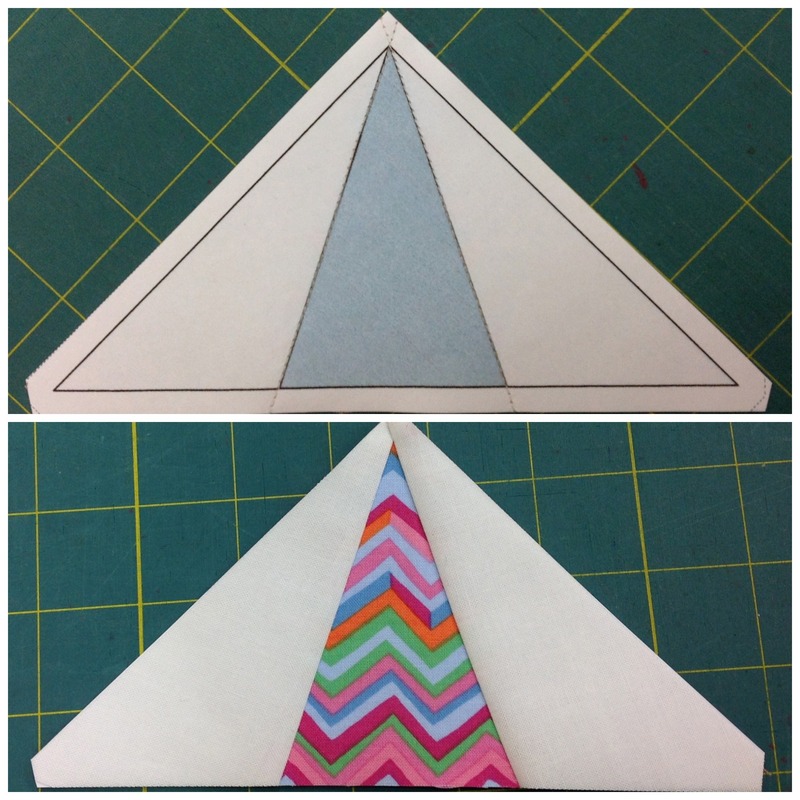 Carefully align your ruler with the center diagonal in both directions. 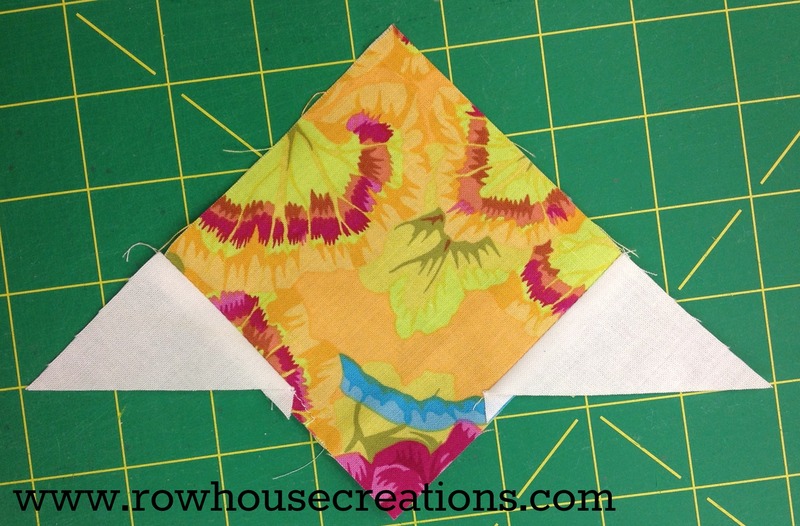 Trim access off of your accent fabric #2 rectangles. 4. 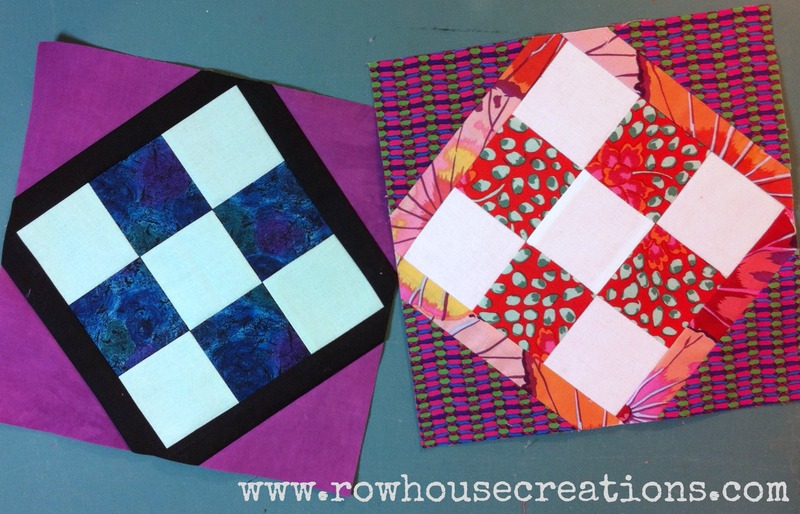 Add one half-square triangle to each corner of your block; press. 5. 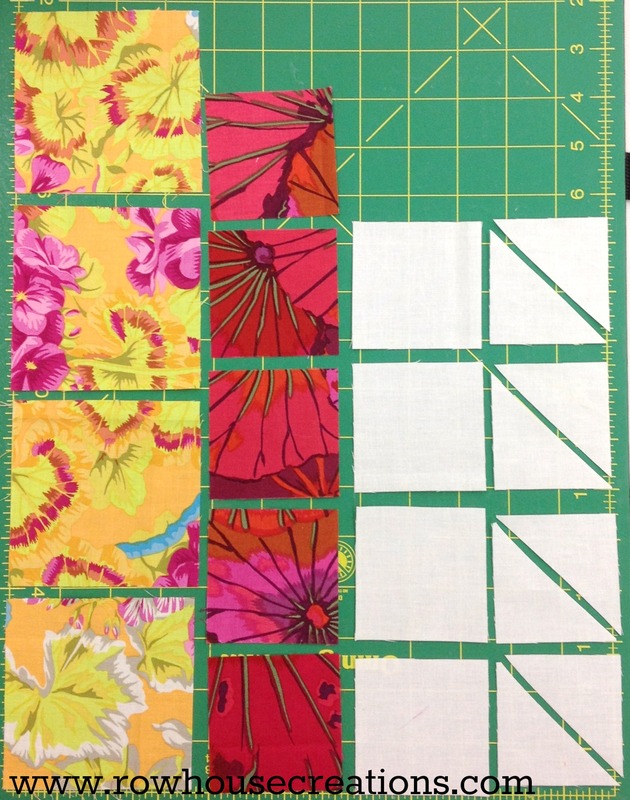 Square to 9 1/2″ (unfinished).